Sheltie Nation | He looks so cute and innocent, doesn't he? He looks so cute and innocent, doesn’t he? Posted by Kelly on Mar 11, 2018. Rocket is in “prison” for a much needed time out! Kelly….he is a doggy criminal in a fur suit! Shelties are supposed to be tractable and sweet! This guy lives up to his two names: Rocket is his everyday name; and his registered name is Billy the Kid! Thanks for putting up his “poster”. 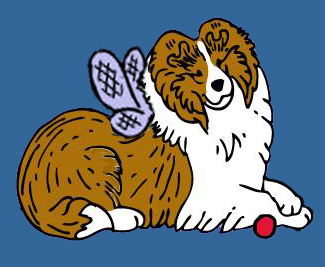 It is fun seeing your own dog on Sheltie Nation. I love every post.